Johannesburg - SuperSport United will consider their future participation in CAF continental competitions following their frustrations this year. United take on TP Mazembe in the final of the CAF Confederation Cup in Lubumbashi on Sunday afternoon andat home on Saturday. United chief executive Stan Matthews told City Press of their frustration and said they would sit down and do stocktaking after Saturday’s second leg. Matthews said they wanted to give their all in continental tournaments but were left frustrated by the organisers and were seriously considering their future involvement. “Having learnt from bitter experience we will be more cautious as it has not been rewarding with the things we had to deal with on this journey of 16 games. We are going to sit down as a club and see where our priorities lie. Last season we finished three places lower in the league because of Africa. We have to decide what view we take going forward,” said an aggrieved Matthews. He said South African clubs were often accused of not taking CAF competitions seriously to help advance players’ development but were left frustrated. “We can’t be expected to take competitions seriously when it looks like we are not taken seriously within the tournament. “Looking back over the 16 games we have lost money, jeopardised domestic form and we still don’t feel we were given reciprocal consideration and treatment throughout the tournament from off the field stuff to officiation. It is not the optimum viability for the club to stretch its resources and to sacrifice financially and still be treated slightly disrespectfully with rescheduling of games without consultation". He questioned CAF’s timing of staging the Confederation Cup directly after the Fifa week. Matthews said the timing did not make sense at all and questioned why the Champions League final was played earlier. Matthews was irked by the fact that five of his players only joined the rest of the team on Friday morning from national duty. “To me the Champions League final was given more consideration by being played before the Fifa week. “The Champions League is the pinnacle of any confederation and should bring down the curtain but why not here. It was played before the international break and we are expected to play immediately thereafter". Matthews was still aggrieved that last month CAF changed their semifinal clash with Club Africain from a Saturday to a Sunday without consulting the club. 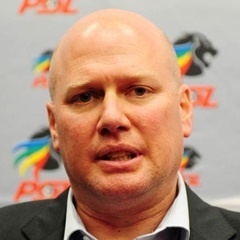 “We had to spend a lot of money on charter flights and extra logistics to comply with PSL fixtures towards the end of last season. A couple of times we requested fixtures to be changed but those pleas fell on deaf ears. Again we were told the home club chooses the venue, date and time of their games but then we got a letter 48 hours before kickoff, not asking, but instructing that our game had been moved from Saturday to Sunday with no mention of cost implications. "We had already printed tickets and done marketing and promotions of the game but no one even cared to ask. These are some of the elements we need to look at as a club going forward. He said their letters to CAF headquarters were neither responded to nor acknowledged. “It does seem we get second-rate treatment, consideration and communication from CAF. It might be my own perception ... maybe North Africans get the same treatment too. “But if we are going to take the competitions seriously in the next five or so years these things need to be stamped out, discussed and ironed out". He said he wanted to raise these issues before Sunday’s final not after, as it might be misconstrued as sour grapes.